Long ago, I read an article about meditation and directed dreaming. It talked about different ways to take a relaxing mental journey, a way to explore your thoughts in a creative way. I am forever interested in articles about creativity, convinced that I might write different, unique stories with the right different and unique creative input. So I’m open to all kinds of things that will inspire my mind to wander—listening to a wide variety of music, wandering through any type of museum, exploring nature, watching movies, or even directed meditation. I searched for my notes on this topic recently. I had a break between novels and I like to either read about the craft of writing (I love to learn new things!) or read about topics to write about (new possible settings, interviews with people who have interesting careers that could inspire a character, etc.). This summer, I was on a quest to inject new creativity into my work so I thumbed through some of those old notes. I found so much more than my notes. Next to those clippings (remember saving clippings? From real paper magazines?) was a file of correspondence with a dear friend who shared my interest in things like directed dreaming and meditation. I began to glance over those letters—long, detailed accounts of our day-to-day lives and challenges, shared hopes and dreams, and the kinds of confidences that you only reveal to the closest of friends. What started out as a quick thumb through a file turned into me sitting on my office floors, beautiful, handwritten letters strewn all over me as I remembered the nuances of a friendship and the kind of life I was living twenty years ago. What a treasure! Organized soul that I am, I had even photocopied a few of my letters to my friend before I sent them (who does that? Was I really once that person?) so that I could read my own thoughts in my own voice, as well as see her thoughts written in hers. All thoughts of directed dreaming shoved aside, I gained a new perspective on creativity that day. First, I remembered the joy of sharing ideas with non-writers. As much as I love the romance community, I have fallen so deep into our world that I may have isolated myself too much from people I love who aren’t as connected to it. This dear friend and I don’t see each other nearly enough and letter writing has fallen by the way side. I need to correct this so I can share my find with her. Second, I gained a renewed joy in life writing, something that I don’t spend enough time savoring. For centuries, the main written legacy of women was a kind of life writing—letters, diary entries, personal responses to their experience of the world. I like looking for the little details of a life in those voices. You can learn so much about a person by the way they present themselves in writing. What they choose to share and what they hold back. As we change the way we communicate today, revealing our lives in social media more than written letters, we are finding new outlets for our voices. New ways of sharing our experiences. 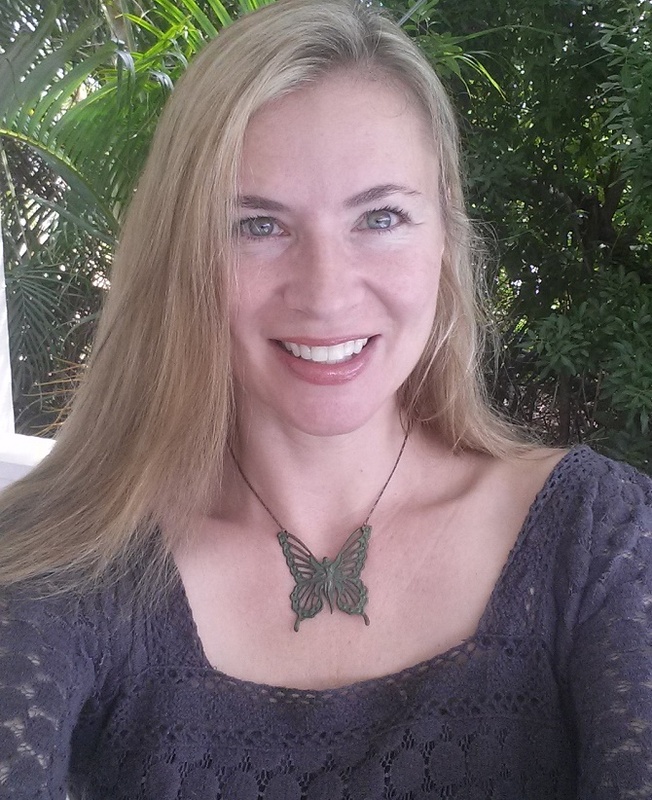 I came away newly excited to write to my friend again, and determined to pay more attention to the way we all connect online. My correspondence showed me how hungry I was to connect—for someone to listen to my experiences and understand me. We write to communicate, to inform, to educate, but also to be understood. To have our experiences recognized and validated. To know that we aren’t alone. Over the years, I feel fortunate to have discovered my voice. To have an outlet and to be heard. But writers aren’t the only ones whose stories need to be told…. That thirst is in all of us. I’m going to pay more attention to the other stories around me. To listen and be present. I can’t be the only one who saves letters or clippings. Do you have old love letters squirreled away somewhere? Cards from your mom? Letter from friends while you travelled far from home? 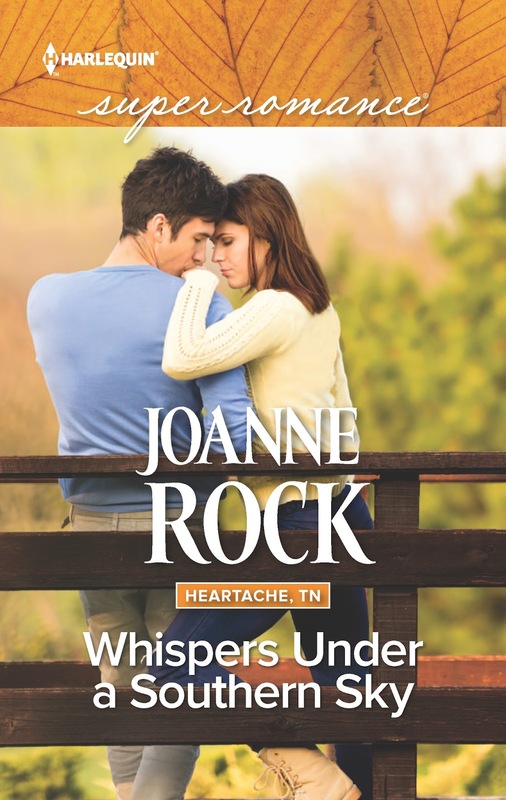 Share with me today and I’ll give one random poster a copy of my upcoming Harlequin Superromance, Whispers Under a Southern Sky. My mother writes me a note each month. (She knows how much I love receiving them.) I've been keeping them for years. They are such a great treasure. Always hilarious to read too. 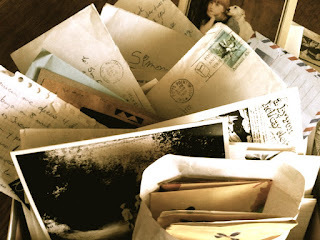 I have saved special letters since the seventies, especially from my sister's husband and daughter. Her husband printed silly letters with plenty of puns. Her daughter was guilted into sending me something when computers first came out (using a dot matrix printer where you ripped the perforated sides from the paper); I just re-read that the other day to my daughter and we both howled because it was so funny to us. Back in the eighties, I used to handwrite letters to my husband's mom and sisters "out west". The women got older and computers came about, so I typed a minimum of five double-spaced pages to them each at Christmastime every year (so easier for them to read) and a couple of times in between. I didn't realize it, but Grandma kept my letters. When her niece was compiling a family tree album going back to the late 1700s, the niece included a copy of one of my long letters - for ALL the family to see. Thankfully, there was nothing for which I was ashamed, but it was a typical letter where I gave an update on all of my husband's family "out east" - what they had each been doing throughout the previous year (usually with us) - because I was the only one in the family who sent them letters. Yes, I have old newspaper clippings in my scrapbooks. I have even kept every one where I'm mentioned as winning in badminton (I win a lot). Sad, but true. I threw old love letters out from a previous boyfriend when I got married. Wish I'd kept them now, as he had talked about working on his parents' farm. I don't really have letters but I do have some postcards from authors. This is one of my embarrassing moment: I wrote a letter to a guy I liked back then (not interested anymore) and the letter got around the class but thankfully no one know it was me who wrote it. From that moment on, I don't want to write a love letter. Maybe one day to my children but not anytime soon. What a lovely post, Joanne, and what wonderful stories, Mary, Laney and Evelyn! I, too, have some old letters. Some are notes from high school, shaped into tiny triangles with the ends folded under. I used to receive and send those letters every day at school - so I can't really say much about texting :). Thanks, Joanne, for the reminder to cherish our lives outside of writing and the wonderful memories we can share with friends outside the writing community. I don't have any letters, but I have saved postcards from the time me and my significant other did the long distance relationship thing. I always keep all the letters that were given to me. I still even have the Valentine's card that was given to me when I was in grade school. :D I have this special drawer where I keep all the letters, cards and other small stuff that I've acquired over the past couple of years. I have all the cards my husband sent/gave me. I still have all of my wedding cards. And, I have a cigar box full of the cards my mom received when I was born. Yes! What a great story. I recently ran across a box of letters from my college years from my parents. Sometimes they wrote together, sometimes separately, which I had forgotten. There were words about the now long-gone few dollars for pizza, my mom's cancer prognosis and tidbits about my little brother and life at home. These days, my best friend move six hours away and we laugh that we are keeping the post office in business. Letters, funny notes, clippings, recipes all make the journey via the USPS to and from, more than once a month! It's a great feeling to get something in that mailbox that is meaningful. holdenj--it's interesting to read those co-authored letters, I'll bet! My parents take very different approaches to letter writing and I treasure things from them because it's like having a private conversation with each of them. Laney, what a great list to have saved all these years! I admire the careful thought you put into your decision... good for you. I think it's easy to get swept up in the romance of the *idea* of marriage, which is very different from the reality of making a HUGE relationship actually work. Much as I've been reading romances since I was 14 years of age, I never did get swept up in it all. I am 5'10" tall and was skinny back then, but it was hard to find a wedding dress long enough; I bought the only one I could find - for $100! My husband chose the invitations (because I didn't care, which is surprising since I have had my own typing/editing business technically since high school), our wedding bands (anything was fine to me), and our honeymoon (didn't matter as long as we were together). I guess my contribution was insisting that the bridesmaid dresses be handmade in a pattern that we all felt could be re-worn later (and they were). My mom handled the hall/food/decorations (there was only one place in town large enough to accommodate everyone). My husband and I ordered silk flowers for everyone to match the dresses. Basically, we just did what needed to be done but didn't fuss about any of it. The actual wedding day was a means to an end, so to speak. We looked upon it as a big party to be with friends and family (especially those from far away). I guess that's why when we celebrated my 40th and my husband's 50th birthdays, we hosted a dance (halfway between our birthdays), hiring a DJ and insisting that people dress casually and not bring presents. Our families provided table snacks and food later in the evening, and we all just enjoyed each others' company. I have always thought the focus should be more on the marriage and less on the wedding. I planned my wedding myself, but I was pregnant at the time, and I was more concerned with being a good mom than a fabulous bride :-). One of my favorite photos of my wedding day is with my husband and I and our newborn between us-- dressed in his white christening gown. So cute. I lucked into a freebie gown since I used my mom's. I'm a few inches taller than her, but since she wore her tulle skirt with a big crinoline, I just ditched the underlayer and the gown was long enough. Voila! Cool stories! Thanks for sharing, Joanne! bn, you're my winner this time!!! Congratulations and I'll zip you an email, but all you need to do is send me a mailing addy at jrock008@gmail.com and I'll put a copy of Whispers Under a Southern Sky in the mail for you!